Qualcomm teased the successor of the curved LG G Flex on Twitter. The upcoming high-end smartphone will make its official debut next week during CES 2015 in Las Vegas - in line with past rumors. The image gives us a peak of a device’s back without mentioning its manufacturer. However, the buttons on the back, coupled with the distinctive pattern that LG’s self-healing polycarbonate totes, leave no room for doubt that the device is indeed from the Korean manufacturer. 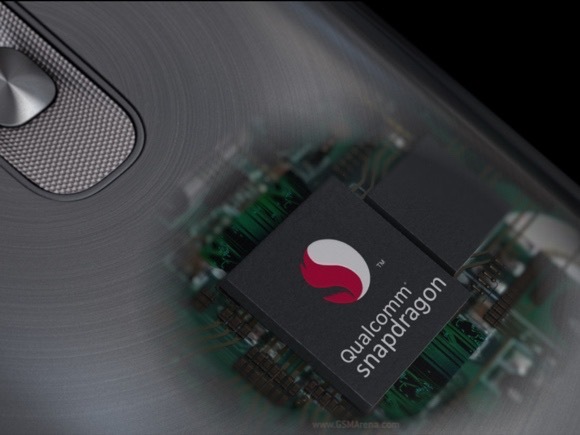 Curiously, the tweet states that the device will pack a Qualcomm Snapdragon 800 chipset. We reckon that the company refers to the Snapdragon 801 or Snapdragon 805 however, as both are technically part of the 800 lineup. Seeing the device launch with last year’s Snapdragon 800 seems unlikely. We will be live from Vegas next week, so be sure to tune in for the full scoop on the next LG G Flex.